What doctor does every mom in Paris have on her speed dial? Dr. Hot of the American Hospital? Probably. A phlebologist is a doctor who specializes in veins and their diseases. Basically, a Vein Repair Man. I just call mine Dr. Vein. Dr. Vein has become my new best friend since my hairstylist, manicurist, massage therapist, life coach, facialist, and personal trainer. I see her more than I see Big Cheese at the moment because she's saving my legs from looking like walking spider webs. Can't have a walking spider web on the beaches of Saint Tropez! What does Dr. Vein do? 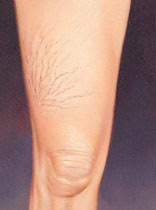 She spends a great deal of time inspecting my legs for red, purple and blue spider veins as a result of my pregnancies. She shoots them full of a solution and then traces over them with a laser in order to make them shrink and eventually disappear. My legs are on their way to looking 18 again! In fact, having a phlebologist seems to be every expat mom’s little secret in Paris. When you see that gorgeous mommy strutting up the main alley at the Park Monceau like it’s her own personal runway and you ask her how in the world her 36 year-old legs look so beautiful after having 3 kids, and she replies, “Sweetie, it must be all the walking I do around Paris that keeps them in shape!” Well, you know, she’s lying. She’s got the phlebologist’s number on speed dial in her Vertu diamond-encrusted cell phone tucked far way into her Chanel purse. And she’s not going to share it with you! It’s only when you start visiting your phlebologist on a regular basis and run into several moms from your playgroup and the park that you realize everyone’s doing it, but they just don’t want you to know they’re doing it. The French love cheese. And the French love beautiful women. What better way to combine the two than with this "cheese pin-up" calendar? You know you're in France when you're greeted by Mademoiselle Emma and her Tomme de Savoie in the bathroom of your favorite bistro. Want the scoop on France delivered right to your inbox? 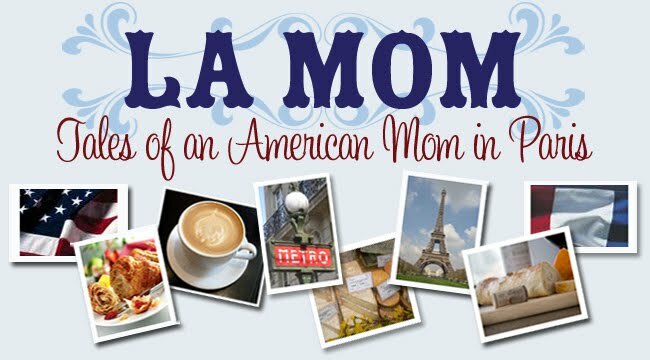 Sign up for La Mom's posts by e-mail at the top right!